ProCom emergency call systems for tunnel applications offer the highest levels of safety and the quickest possible emergency response for all road users. Features include tunnel distress call solutions for road and rail. As a preferred supplier to the China Railway Corporation, ProCom has already delivered over 10 000 emergency call stations. Our robust emergency call stations are designed specifically for the harsh environmental conditions in tunnels. They are water-, dirt- and dust-resistant. In order to assure reliable communication between the emergency call terminals and the control centre, the emergency call system is monitored seamlessly. The person requiring assistance is connected to the control centre within a few seconds. Our emergency call system ensures the rapid localisation of the emergency caller, thus enabling optimal risk management and rapid response times. Our flexible emergency call systems are easily integrated with existing control centres. The adaptation of various communication systems facilitates the networking of the emergency call system. 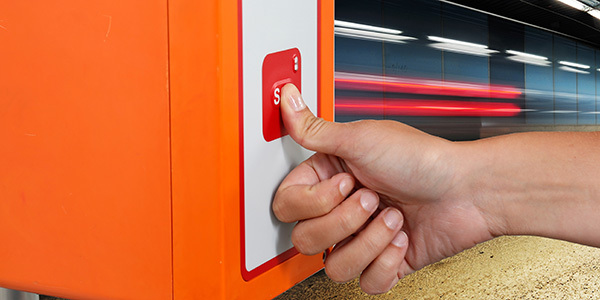 We have the best possible communication solution for your tunnel safety requirements. Contact us to see how we can be of assistance!.